A Win for Whistleblowers in the Fourth Circuit | Kalijarvi, Chuzi, Newman & Fitch, P.C. Recently, the U.S. Court of Appeals for the Fourth Circuit affirmed the Department of Labor’s Decision in Deltek, Inc. v. Department of Labor, which found that Deltek retaliated against its former employee when she blew the whistle on what she perceived to be improper accounting practices. Deltek, a global provider of enterprise software and information solutions, hired Dinah Gunther as a Financial Analyst in October 2008. She worked in the Information Technology (IT) department, which mostly dealt with the company’s billing disputes with Verizon, one of its vendors for IT services. By spring 2009, Gunther became convinced that Deltek was engaging in gross fraud concerning its disputes with Verizon. She reported her concerns to her management, and almost immediately faced hostility and worsening performance reviews. As a result, on April 20, 2009, Gunther elevated her concerns to Deltek’s General Counsel, Deltek’s Audit Committee, and the United States Securities and Exchange Commission (SEC). The increasing hostility took a toll on Gunther’s health, and in May 2009, Gunther was placed on paid leave, with the condition that she could return to work at any time as long as she provided 24-hour notice. Nevertheless, the employment relationship between Gunther and Deltek continued to deteriorate. In October 2009, Gunther discovered that her latest check from Deltek was reversed, and that she was being placed on COBRA (an obvious sign that her employer had terminated her health benefits). She promptly notified Deltek that she was returning to work. Unsurprisingly, Deltek seized upon Gunther’s first and only day in the office to accuse her of being “confrontational”, “disruptive”, and “demanding” in a 15-20 minute meeting, and promptly fired her. Her protected activity was a “contributing factor” to the unfavorable personnel action. Thus, under Sarbanes-Oxley, Deltek could escape liability only if it produced “clear and convincing” evidence that it would have taken the same unfavorable personnel action in the absence of Gunther’s protected whistleblower activity. Unbeknownst to Deltek, Gunther had secretly recorded the meeting upon which Deltek premised her removal—and through her careful review of the recording, the ALJ determined that Gunther was “[a]t all times . . . calm, quiet, and (although she repeated herself) polite.” Taking into account the temporal proximity between Gunther’s whistleblowing and the removal, as well as Deltek’s inability to substantiate its allegations against Gunther, the ALJ found that Deltek did not meet its high burden. She awarded Gunther back pay, back benefits, and approximately four years of front pay, for a total award in excess of $300,000. The Fourth Circuit affirmed. 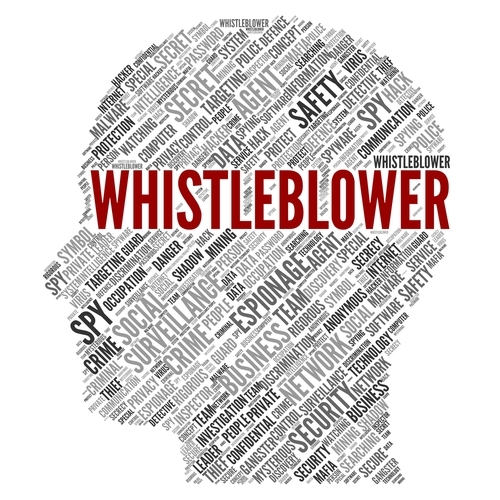 The Sarbanes-Oxley Act provides valuable protection for whistleblowers. Originally passed in 2002 as a response to the catastrophic collapse of energy giant Enron, Sarbanes-Oxley’s reach was extended in 2014 by the Supreme Court in Lawson v. FMR LLC. Sarbanes-Oxley now covers employees of privately owned contractors who work for publicly traded companies. The Act also protects employees who report a wide range of fraud, non-compliance, and cover-up issues. The time limit to file Sarbanes-Oxley retaliation complaints is 180 days. To learn more about whistleblower rights, please contact Kalijarvi, Chuzi, Newman & Fitch, P.C.